Ballintoy is a small village situated on the North Antrim coastline between the villages of Bushmills and Ballycastle. 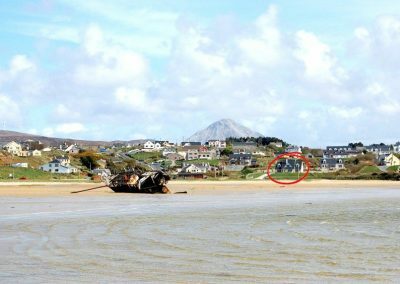 The village is located about one kilometre from Ballintoy Harbour, a small fishing harbour located at the end of a small, narrow, steep road down Knocksoghey hill. Ballintoy is situated in one of the most picturesque parts of North Antrim between the Giants Causeway and Carrick-a-Rede rope bridge. The village looks out across the sound to Rathlin Island and beyond to Scotland. 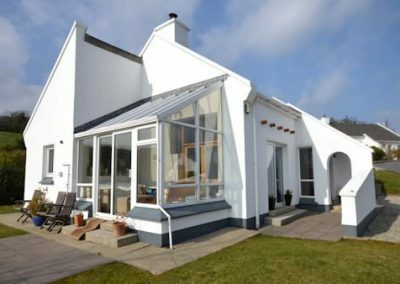 As you come over the Knocksoghey Brae from the Ballycastle direction or in from Whitepark Bay and Bushmills you are greeted by magnificent views, each one characterised by the beautiful white form of Ballintoy Parish Church located on the hill above the harbour. The remains of Dunseverick Castle are nearby and the village is only a short drive from the Giant’s Causeway.The famous Carrick-a-Rede Rope Bridge is just outside the village. The bridge links the mainland to the tiny Carrick Island. It is thought local salmon fishermen have been erecting bridges to the island for over 300 years.